The store was founded in the early 1970s by teenage Greek immigrant brothers. Using their father as a namesake for the store, they began by selling produce. 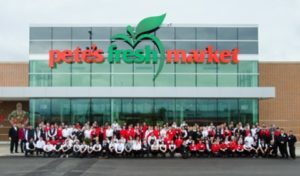 Today, one brother owns all 12 of Pete’s Fresh Market locations and there are several family members who work in the day to day operations, managing and contributing to the company’s success. Every day their produce is hand-picked and delivered fresh to each of their locations. Pete’s carries a large variety of items including grocery, floral, liquor, bakery, and deli & hot foods. One can even find interesting produce items such as Rumbutan (fruit from Southeast Asia), Piquin Peppers from Mexico, or Kohlrabi (a cabbage-like vegetable from Germany)! There are five locations that include a coffee shop called Lotus Café. Start your morning with one of the many delicious drinks they have to offer. They also carry gelato, frozen yogurt, and fresh baked pastries (may vary by location). Their bakeries includes a wide variety of options including: Cannolis, Kolackzi, Orejas, Conchas, and Croissants. You can even request a customized cake at the counter. If you are looking for something more refreshing: nearly half of Pete’s locations contain a fresh juice bar! Pete’s Fresh Market provides also the option for deliveries through instacart from 7 of their locations. This service allows customers to shop Pete’s stores online and have their groceries delivered to their house. We had a chance to talk to Vanessa, a representative from Pete’s Fresh Markets. She helped give us more background on the stores and answer a few questions we had. Q:What is it like shopping at Pete’s Fresh Market? A: We believe in affordable luxury and want all of our customers to have a great shopping experience when they visit our stores. You will see marble counter tops, terrazzo flooring, and custom mill-work in all of our stores, from the West side of Chicago to the suburbs. Pete’s strives to provide you with the Best Quality, Fair and Affordable Pricing, Exceptional Customer Service, and a Beautiful Aesthetic. Q: What does Pete’s do to help the community? A: Pete’s Fresh Market is a proud supporter of many non-profit organizations. Since in the early 1990s, they have been contributing to programs that help better their community. 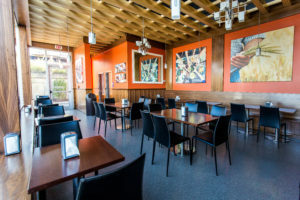 Pete’s donates to local schools and after school programs, churches and mosques, libraries, legal aid organizations, health coalitions, Ronald McDonald House, community wellness programs, American Cancer Society, local town theaters, museums, Salvation Army, and senior living apartments. Every year they do a big fundraiser for MDA (Muscular Dystrophy Association), and this year they raised $73,289.59! Q: There is a section on your website dedicated to “special diets” i.e. gluten free, vegetarian, sugar conscious. Have you seen an increase in customer’s requests for these types of products? A: We truly do cater to the clientele who visit our stores. Each store represents the customers of that neighborhood. We have seen a big increase in customers requesting specialty products that cater to specific diets such as vegan, gluten free, paleo, keto, and low sugar (diabetic). 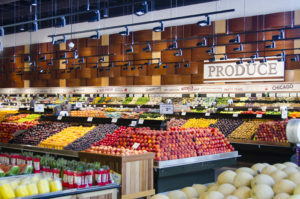 Produce has always been the heart and soul of Pete’s, and as we’ve expanded our selections and offerings in our perimeter departments such as a sushi bar and cheese bar, we’ve also expanded the center store to carry conventional, specialty, organic, international, and even that obscure flavor that you request. We truly aim to be our customers’ one stop shop. Q: Is there anything that is unique about Pete’s that you want people to know about? A: This past year, we congratulated the inaugural class of graduates of a Customer Service and Retail Management program as well as an ESL class. We believe in investing in our human capital and providing opportunities for our extended Pete’s family. This is just the beginning of what we now call Pete’s University. All locations are open 7:00AM-10:00PM daily. 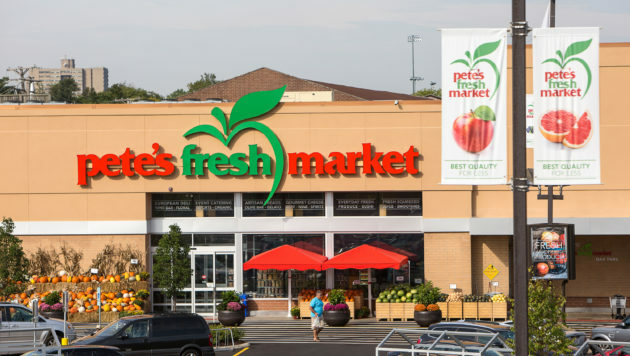 Pete’s Fresh Markets are located in Chicago and the surrounding cities with another new store location opening soon! Be sure to stop by to see all they have to offer, and even pick up some StarLite Cuisine products from the frozen section! To read about our previous Independent of the Month: Mollie Stone’s Markets click here!